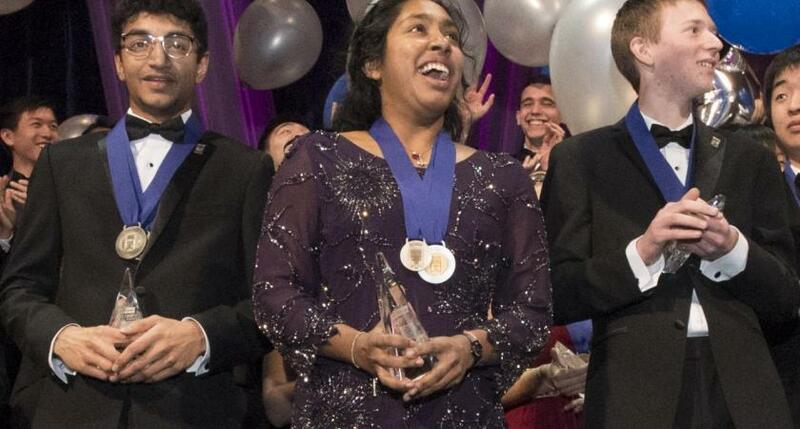 Society for Science & the Public and Regeneron Pharmaceuticals, Inc. announced that Indrani Das, 17, of Oradell, New Jersey, won the top award in the Regeneron Science Talent Search, the nation�s oldest and most prestigious science and math competition. Forty finalists, including Indrani, were honored tonight at the annual Regeneron Science Talent Search Awards Gala for their research projects demonstrating exceptional scientific and mathematical ability, taking home more than $1.8 million in awards provided by Regeneron. This year, Regeneron became only the third sponsor of the Science Talent Search, following previous sponsors Westinghouse and Intel. As part of its 10-year, $100 million commitment, Regeneron significantly increased awards to better reward the nation�s brightest young scientists and encourage their continued pursuit of scientific innovation. 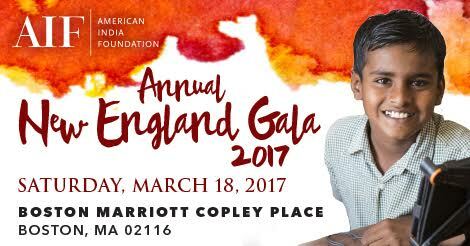 In total, this year�s finalists received over $1.8 million in awards provided by Regeneron, which distributed $3.1 million in awards overall to Regeneron Science Talent Search 2017 finalists, scholars and their schools. Regeneron is also supporting efforts to increase nationwide student and school participation in the Science Talent Search. �Now more than ever, we need our nation�s best and brightest young minds to pursue their interest in science and use their talents to solve our world�s most intractable problems,� said Maya Ajmera, President and CEO of Society for Science & the Public and Publisher of Science News. �I congratulate our finalists, who are all poised to become our future scientific leaders.� Society for Science & the Public has organized and produced the Science Talent Search since it was founded in 1942. Fourth Place: Byron Xu, 17, of Sugar Land, Texas, received a $100,000 award for his examination of marine seismic data � the reflections of sound waves � with the goal of calculating ocean water temperatures in more detail than current techniques allow. Of more than 1,700 high school seniors who entered the Regeneron Science Talent Search 2017, roughly 300 were named scholars in January. Of those scholars, 40 students were named finalists and invited to Washington, D.C. to compete for the top 10 awards, meet with national leaders and share their projects with the public at the National Geographic Society. These students join the ranks of other Science Talent Search alumni who have gone on to receive more than 100 of the world's most esteemed science and math honors, including the Nobel Prize and the National Medal of Science. The Regeneron Science Talent Search, a program of Society for Science & the Public since 1942, is the nation�s oldest and most prestigious science and math competition for high school seniors. Each year, approximately 1,700 student entrants to the Science Talent Search submit original research in critically important scientific fields of study and are judged by leading experts in their fields. Unique among high school competitions in the U.S. and globally, the Regeneron Science Talent Search focuses on identifying the next generation of scientists and engineers who will provide critical leadership in solving some of the world's most pressing challenges while shaping the future of research and development for our nation and the world. Program alumni include recipients of the world's most coveted science and math honors, including eleven National Medals of Science, four Breakthrough Prizes, eighteen MacArthur Foundation Fellowships, two Fields Medals and twelve Nobel Prizes. Distinguished Science Talent Search alumni include Society Trustees Mary Sue Coleman (president emeritus, University of Michigan), Tom Leighton (co-founder and CEO, Akamai Technologies), Paul Maddon (founder of Progenics) and Frank Wilczek (2004 Nobel Prize in Physics), among many others.